Swing by and enjoy an evening of zines, prints, and self-published art from a selection of local vendors. Beer from Half Acre and soft drinks will be on tap while you browse wares, try your hand at the “Make Your Own Zine Table,” and trade with other collectors. 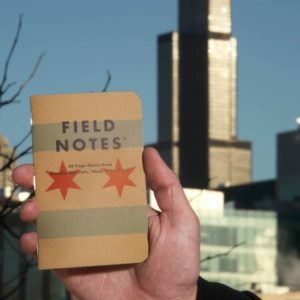 At Field Notes Midwest HQ at 401 North Racine Avenue in Chicago (NOT AT QUIMBY’S). 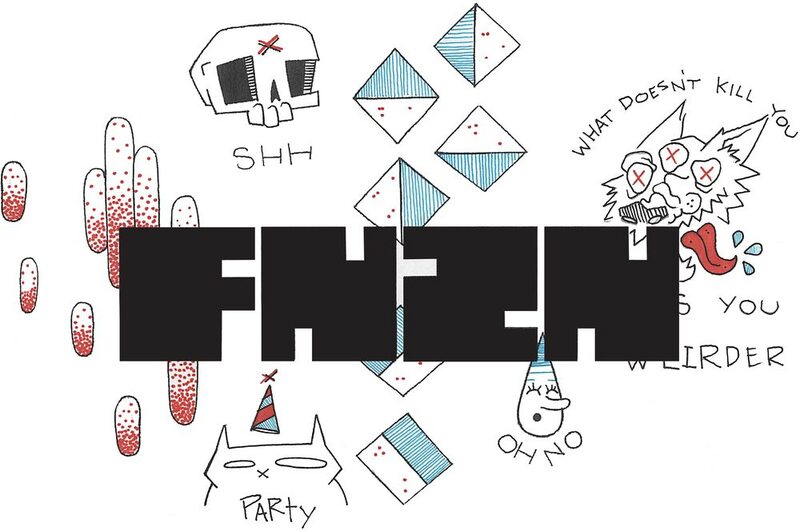 Tags: Field Notes, Off Site, zine night, zines. Guest Blog post from CHIPRC (Chicago Independent Resource Center) Celebrates ONE YEAR! July marks International Zine Month, so Quimby’s is teaming up with our friends The Chicago Independent Resource Center (CHIPRC) to bring you zine-y activity. CHIPRC will be hosting zine events during the month! Here’s a post from Johnny, the Executive Director! Celebrate Independent Publishing on Independence Day Weekend with Chicago Publishers Resource Center. 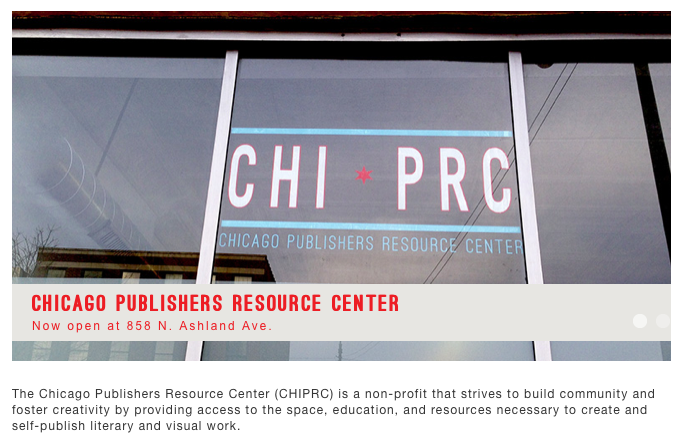 Chicago Publishers Resource Center, the city’s newest edition to the local publishing community, celebrates its first anniversary on Saturday, July 5, 2014, with programming scheduled throughout the weekend. On Saturday, July 5, CHIPRC hosts a zine reading featuring performers from the local self-publishing community including Jim Joyce (Let it Sink zine), Colin Brennan (Continental Interlude zine), Jonas Cannon (Cheer the Eff Up zine), and Ben Spies (No More Coffee zine). Cartoonist Alex Nall will provide a one-off comic strip on the CHIPRC chalkboard. There will be door prize giveaways from self-publishing organizations Chicago Zine Fest, Quimby’s Bookstore, Journal of Artists Books and Stranger Danger zine distro. The even begins at 4pm, $5 donation, all ages. Then on Sunday, July 6, at 1pm during CHIPRC’s Open Hours (each Sunday from 12-5), join button maker Amy Gooch as she hosts a workshop on how to create a collectors’ series with buttons (using two sizes of buttons, 1 inch and 1 ½ inch). Everyone will take away the buttons they make. Great for all ages, $5 donation at the door. July marks International Zine Month. CHIPRC will be hosting zine events during the month with our friends from Quimby’s Bookstore! Zines 101, Sunday, July 13th, 1pm, w/ host Liz Mason, manager at Quimby’s Bookstore. In this is a monthly hands-on workshop offered by CHIPRC, learn a bit about zines and the local self- publishing community with special guest instructor Liz Mason. Liz will lead a discussion, show you how to make a zine and talk about selling it. $3 donation. All skill levels and ages welcome! Zine book club? No! Zine ZINE Club! This is our first trial at a zine book club. For the inaugural event, we will be reading the titles Doris #31 by Cindy Crabb and You Don’t Get there from Here #29 by Carrie McNinch. Get both of these issues from Quimby’s Bookstore. Then come share with others who read them too. As a bonus, bring in a zine of your choosing to share with others. There will be a $3 donation asked at the door. Tags: Chicago Independent Publishing Resource Center, CHIPRC, Off Site. Celebrating the release of Cassette From My Ex: Stories and Soundtracks of Lost Loves, editor Jason Bitner presents along with The AV Club’s Kyle Ryan, artist Derek Erdman and more special guests. This expert panel will shed light on the power of mixtapes and share their own tales of tapes given and received, crushes turned to heartaches. And special bonus! Illustrator Arthur Jones presents his hilarious loss-of-virginity tale as a Post-It Note Story. Quimby’s will be there selling books! Please note this event is at the Hideout and not at Quimby’s! Tags: Hideout, Jason Bitner, Off Site. The Interview Show, a talk show at The Hideout, is back Friday, Oct. 2, from 6:30 p.m. to 8 p.m. Host Mark Bazer welcomes guests Jim DeRogatis and Greg Kot, co-hosts of “Sound Opinions;” novelist Gillian Flynn (“Dark Places,” “Sharp Objects”) and Joe Winston, director of the documentary “What’s the Matter With Kansas?” $5. Plus, Quimby’s will on hand to sell books by the guests. The Hideout is located at 1354 W. Wabansia. Tags: Event, events, Hideout, Off Site, offsite. Free entertainment is becoming a more highly valued commodity, and as free entertainment goes, this week’s Comic Art Battle will surely be hard to beat! And probably some special guests! @ Pistol Bazaar Vintage, 1717 W. Chicago Ave. Doors at 6pm, Battle starts 7pm Complimentary cocktails and munchies. All vintage will be 20% off. Tags: comics jam, Event, Ezra Clayton Daniels, Off Site, Pistol Bazaar Vintage.